I am so excited to be a part of the Holiday Bling Blog Hop! In case you haven't noticed, this is my very first post on my very first blog, and my very first blog hop! Thank you Shelley and Marlene for hosting this hop, and allowing me to be a part of it! Now, let's get down to business! 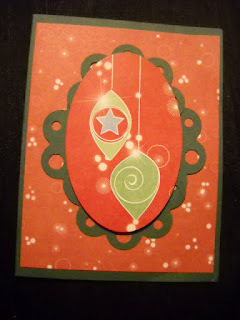 The Holiday Bling Blog Hop was just made for getting into the Holiday spirit. 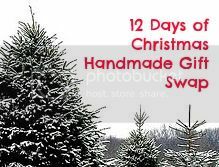 Have some of you noticed that Christmas trees and decorations are already going up in the stores? Shelley and Marlene invited participants who were partnered with another Holiday Hopper-to-be to exchange something related to the holidays. My partner was Linda Florian. 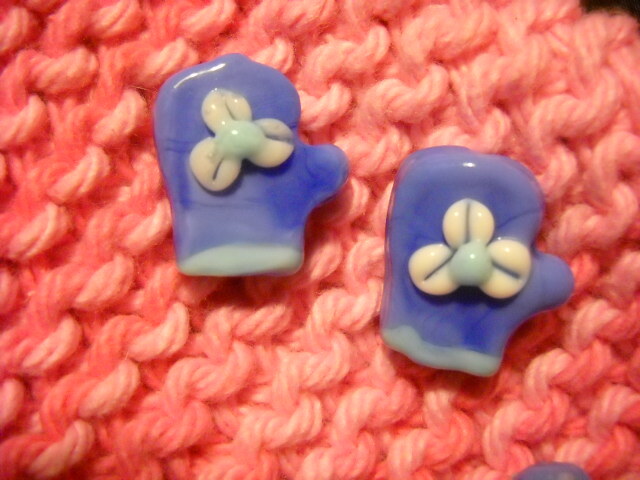 Thank you, Linda, for taking on a newbie partner for this blog hop! Linda is a very versatile artist, as she does a lot of different things. 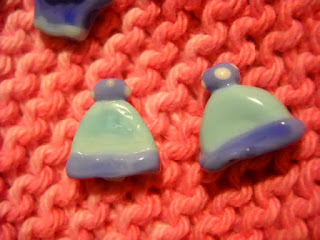 If you want to take a peek at the goodies that I sent to Linda, her blog is here. Linda suffered a deep personal loss recently, as well as some unexpected events that have caused a bit of turmoil in her life, so I haven't received my package yet. 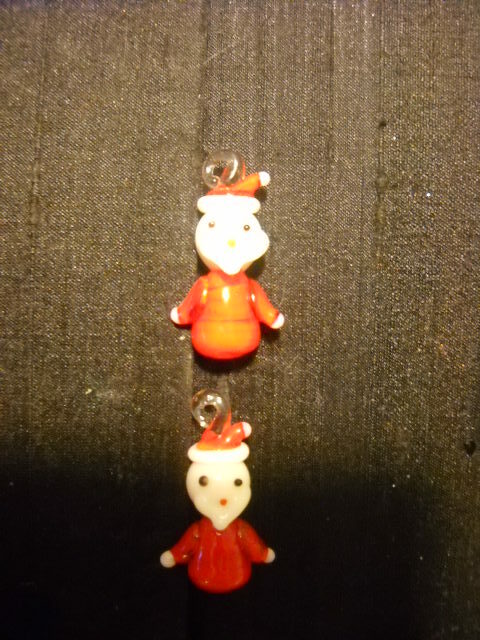 BUT...she was kind enough to email me the pictures of what will be in my package when it arrives. I am very excited, and I know it will be here soon. 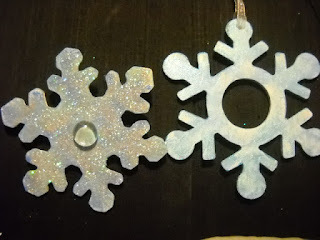 I love snowflakes, especially for decorating during the holidays! 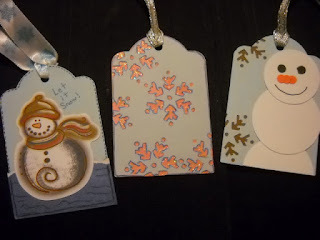 Linda hand-painted the snowflakes below.....aren't they gorgeous? 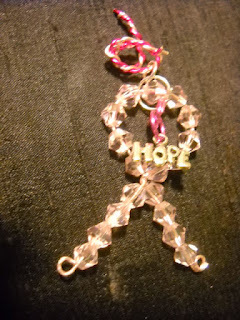 I had mentioned to Linda that I was a breast cancer survivor, and October is Breast Cancer Awareness month. 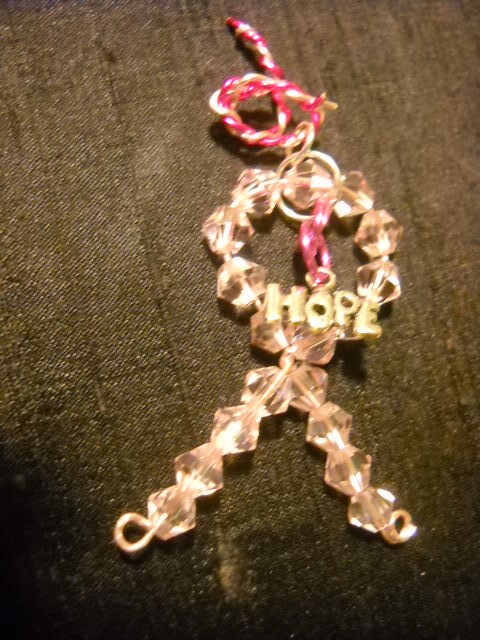 In honor of that, Linda is sending me a beaded breast cancer ribbon with a hope charm, and a lovely hand-knitted pink bag! 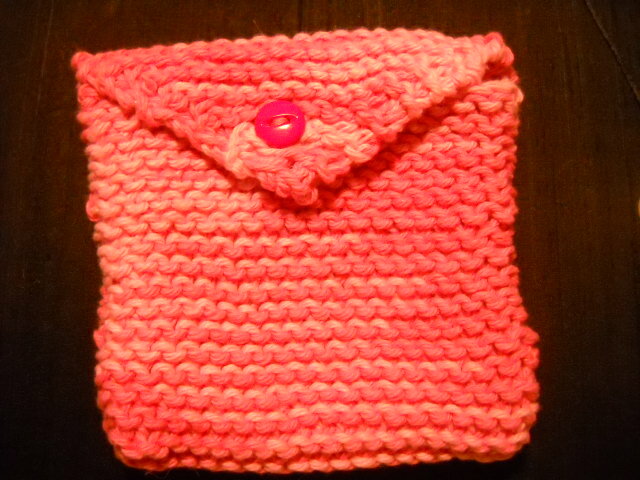 The yarn smells like roses, and I can't wait to receive it. 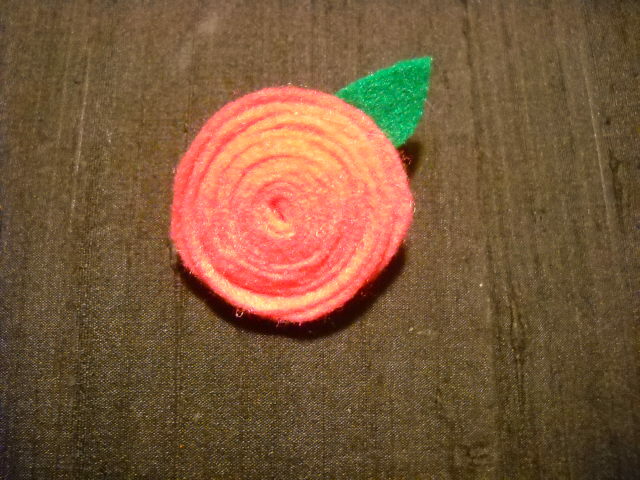 Also, a handmade felt pin in pink--this will go with anything! These items are dear to my heart! She is also sending me some beautiful lampwork beads, some with a holiday theme! 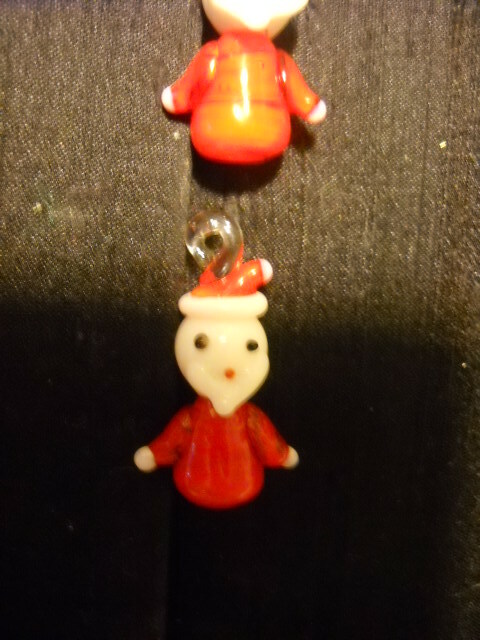 I collect Santa-Claus items, and these are my first Santa Claus lamwork beads. 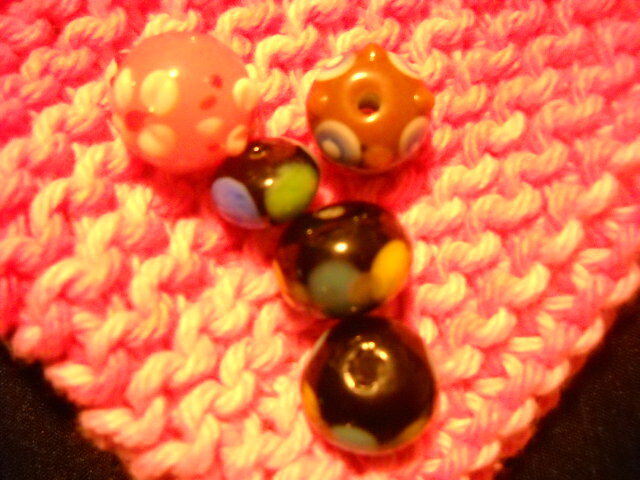 There are going to be some other beautiful lampwork beads coming my way as well. Lampwork beads are on my wishlist from Santa. Thank you, Linda, for your very generous gift! That's not all! 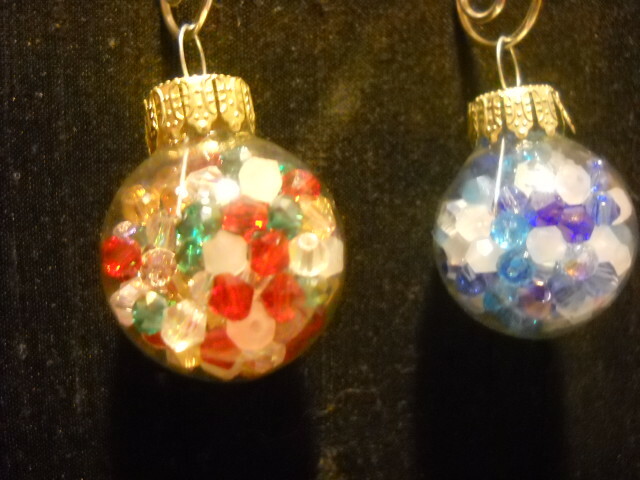 Linda was so generous, she made some ornaments that are filled with Swarovski crystals. 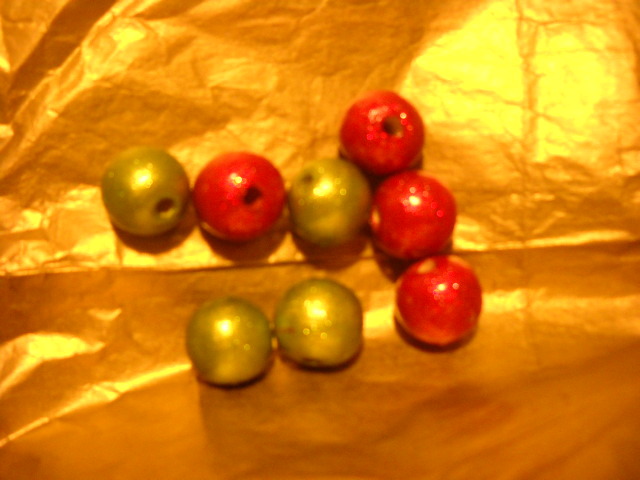 I think they are beautiful, and will look fantastic on my tree. She also made some gift tags that I could use for anything---not just holiday gifts. She is so talented! 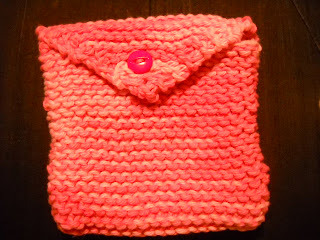 Linda has a young daughter, and I made something for her daughter. She sent me a picture of the thank you card that her daughter is sending me. Thank you so much, Linda! I can't wait to get the package! Check out the participants in the links below. This has been a lot of fun! And thanks for stopping by, I'll be posting again soon with some pictures of some of the jewelry and components that I enjoy making.